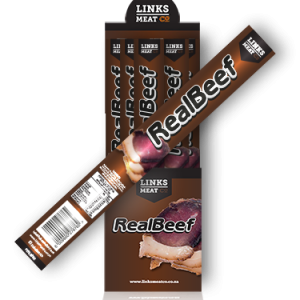 Our customers are after one thing – Real meat, spiced to perfection and individually wrapped for freshness. 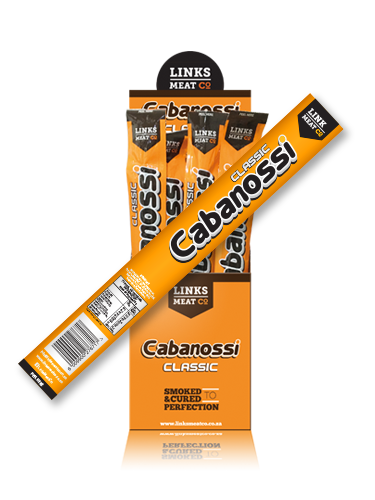 What we do is use our 15 years of experience in the meat industry to source the best meat and package it to the highest quality. What this means is that when you buy a links meat co. product, you can trust our quality and unique taste in every mouthful. 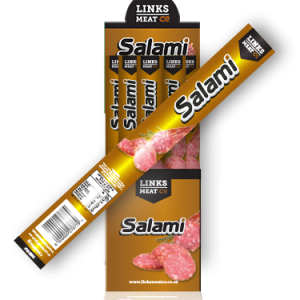 Ground beef and Pork and lovingly blended into the best sausage available. Smoked, seasoned and made just like Mama would. 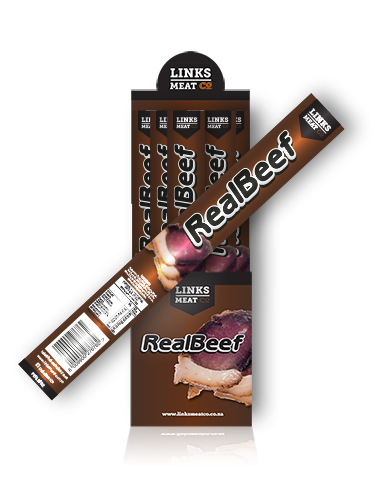 Just beef, dried and seasoned – traditional but individually packed for your eating convenience. You want the fire? Come get the fire! 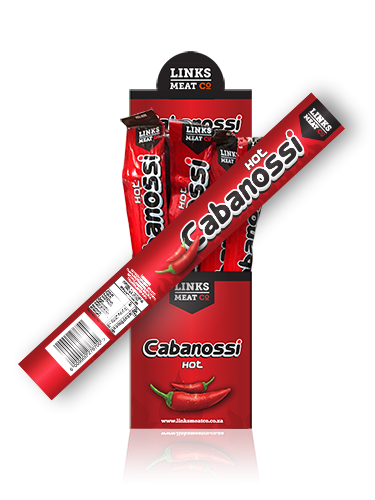 We stuffed some real chilli into our traditional Cabanossi stick. 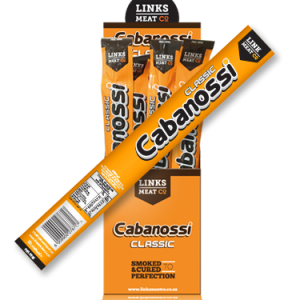 Smokey and hot. If it’s too hot, you just don’t have the adventure in you! 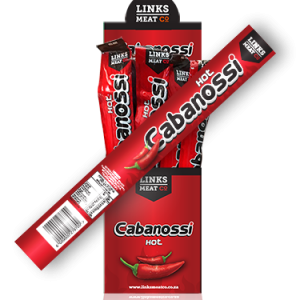 Beef, Bacon, Pork, Chilli; seasoned and smoked. What you need a bit more seasoning? The cracked Pepper flavour infuses choice quality cracked whole peppers to our traditional Cabanossi stick. Beef, Bacon, Pork; seasoned and smoked. 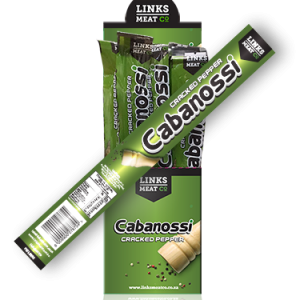 Our Cabanossi sticks are made from a combination of beef and pork, with bacon bits, lightly seasoned and then smoked. 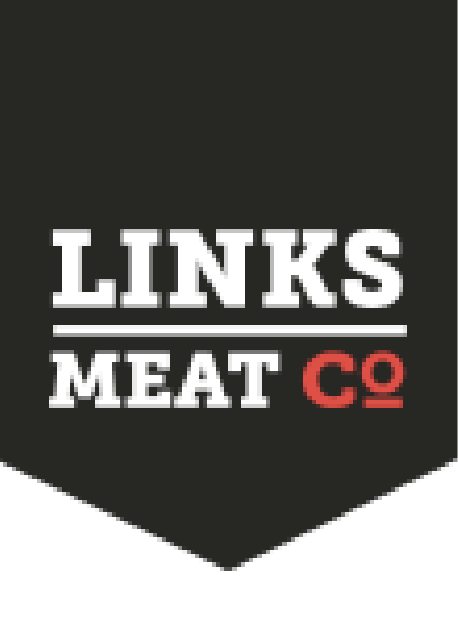 Links meat Co. established in 2015 to cater for the insatiable desire of South Africans for top grade meat.